Green juice is perfect if you want to get healthy, it can do great things for your hair, your skin, if you want to lose weight and more! I’ve been looking hard to find all the benefits that green juice can give you based on science, I didn’t want anecdotal evidence I wanted hard facts for you lovely reader. This took a while but I’ve found some really interesting stuff that you’re going to love. Shall we begin? Yes, let’s start with what green juice is so we’re both on the same page. Green juice is any juice that’s come out of a juicer and is green in color, which makes sense right? But the problem with that is that green juices vary, a lot. So exactly what benefits it will have will depend on what vegetables you put in, but, it’s also true that vegetables of similar color tend to have similar nutrition so all these benefits will generally apply to all green juices you want to drink. Confused? 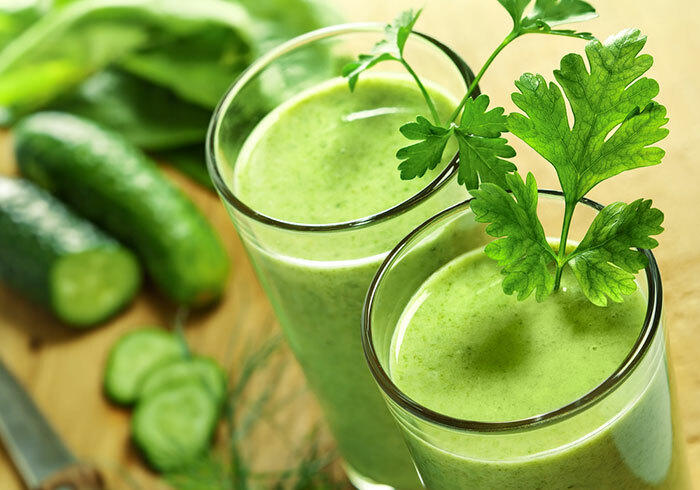 Don’t be, just know that for this article all the benefits are going to be of the Mean Green Juice made famous by the Fat Sick and Nearly Dead documentary, which is made with of kale, celery, cucumber, apple, ginger and lemon. Keep reading for the full Mean Green Juice recipe. Green juice is great because it packs a ton of vitamins and minerals as well as enzymes into a single glass, so you can have one in the morning and be hit with a massive intake of nutrition that keeps you feeling great all day long. It’s far easier, and tastier, to eat this many vegetables in juice form as well, you don’t have to worry about cooking it or making it into anything you can just juice it all together. Because how often do you start your day with an enormous salad with a salad fruit? This way you don’t have to. Like I said these are based on the Mean Green Juice but generally apply to most green juices. 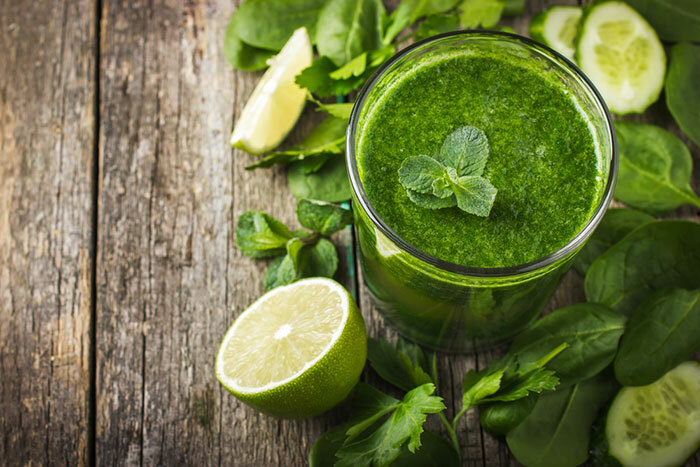 Green juice has a lot of vitamin A in it which is ideal if you want to look after your skin. It can actually help repair and regrow skin cells which keep your skin looking younger. The amount you get from your green juice won’t be irritating I should point out, it’ll just leave your skin feeling and looking phenomenal. Everyone wants strong hair, but unfortunately, green juice only helps prevent hair loss if that hair loss is caused by a vitamin deficiency, specifically if you aren’t getting enough biotin which is a B vitamin. If it’s male or female pattern baldness then, unfortunately, it won’t help. But it’s got everything in it to keep your hair feeling strong, vitamin A to help the cells regrow as they need. And it’s got Vitamin C which helps you make more collagen which is one of the key ingredients of healthy hair. If you’re over 30 your collagen levels start to drop which is why it’s important to keep up your vitamin C levels so your body can make proper use of the collagen it’s got. Green juice is a fantastic energy booster, that’s why it’s great to have in the morning, it can even replace your morning cup of coffee! The reason you get such good energy from a green juice is it’s got a good amount of protein in it which keeps your energy up for longer, vitamin B6 which helps you properly digest energy from the food you eat and helps with 10 different reactions including metabolising proteins. Lastly it’s got Iron which works to increase blood flow which can make you feel more awake because enough oxygen is getting around your body and helps deliver all the nutrition you need to where you need it. A really natural way to start feeling more awake and one of if not the biggest benefits of green juice in the morning. Which basically means you can use green juice to help you lose weight by swapping out an unhealthy breakfast for a green juice instead. Or you can do a juice fast where you only have juice for a set number of days, I think 5 days is more than long enough to go on a juice fast for, and in that time you’ll feel yourself being transformed. But apart from that, the ginger used helps kick start your metabolism by making you produce more stomach acid so you digest faster. Green juice is really high in Vitamin A which is good for a lot of things but especially eyesight. In South East Asia a vitamin A deficiency has actually been linked to blindness in thousands of children! While you’re likely not deficient, extra vitamin A will help slow the degenerative process that happens in your eyes as you get older. Everyone knows that as you get older you start to need glasses right? Well if you make sure you’re getting enough vitamin A, by drinking green juice for example, then your eyesight should stay with you for longer. I’m sure you don’t like getting sick right? Of course you don’t, so you want a strong immune system. And how do you get that? Green juice, it has huge amounts of vitamin C in it, even more if you make it with carrot, and vitamin C I’m sure you know has been shown to help boost your immune system. But more than just the Vitamin C, green juice has a lot of Vitamin B6 which plays a big part in keeping you protected from illness, it’s responsible for a lot of the biochemical reactions that are vital in keeping your immune system strong. Free radicals are molecules that float all around us that are responsible for damaging cells in the body, they damage cells that can lead to ageing so you look older and feel older but also in the worst cases can be carcinogenic which means they can cause certain cancers to start developing! Luckily we can fight them, antioxidants are a great way to protect you from free radicals, they simply block them from doing any harm in the body, and green juice is a great source of antioxidants. It’s positively full of them so when you’re drinking it you can know that you’re protected. There aren’t any specific side effects that happen from drinking green juice, so I’ll just say to listen to your body, if you’re drinking it and not feeling good for it it might not be right for you. So if you experience any bad bloating or are having toilet trouble then you’re going to want to either switch up the recipe and try again or simply move on and try something else. 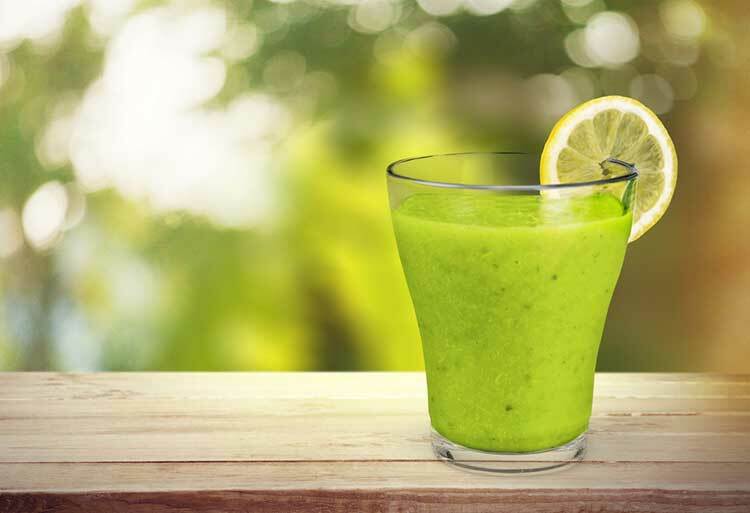 The final question is, is a green powder just as good as a fresh green juice? I would argue no, and not just because as the owner of Juice Buff I think juicing is great, but because when it’s fresh you know you have all the enzymes and nutrition locked in there ready to drink and enjoyed. Whereas when it’s been made into powder there is no way of knowing if you’re still going to get all the same nutrition, some companies claim they do lock it in but there’s no way to prove it. So In my mind, it’s best to stick to fresh juice, but if you can’t for whatever reason green powder is the next best thing. Lastly, as promised here is the Mean Green Juice recipe. Or if you want more info on making green juice check out this article. Just peel the ginger and the Lemon, wash all the ingredients, put it all through the juicer, you’ll want a juicer that can handle leafy greens like these ones I’ve reviewed, and start feeling amazing.